ONE FOR HEART - Our company's primary goal is to help children in need. With every purchase we are proud to donate 1 $ to help these children. Together we can make a difference. THE EASIEST WAY TO SHRED FAT! 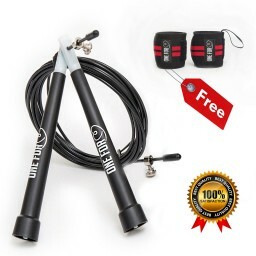 - Burn up to 500 calories in half an hour, increase your stamina and performance with easy double under training and get in the best shape of your life! *FREE BONUS*- one of the most common injuries among people who train are wrist injuries. 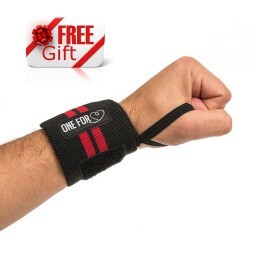 Have you ever felt pain in your wrist while doing various exercises? our brand offers these HIGH QUALITY WRIST WRAPS!, Our wraps will supply you with the protection you need to prevent wrist injuries and pain during your workout. 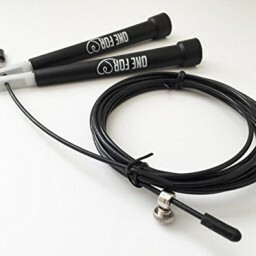 Thanks to their thumb loop, they are very easy to put on and take off. They were designed 14 inches in length and 3 inches wide so they fit both men and women. Click 'add to cart' now to enjoy the best deal you can get! -Please leave an honest and unbiased review about the product. Also, make sure to leave a disclaimer stating you received this product for free or heavily discounted.